If Ukrainian rebels shot down the Malaysian jetliner, killing 298 people, it may have been because they didn't have the right systems in place to distinguish between military and civilian aircraft, experts said Saturday. American officials said Friday that they believe the Boeing 777 was brought down by an SA-11 missile fired from an area of eastern Ukraine controlled by pro-Russian separatists. UN Ambassador Samantha Power said the Russians might have provided technical help to the rebels to operate the systems. From the information that has come to light so far, the rebels don't appear to have such systems, said Pavel Felgenhauer, a respected defence columnist for Novaya Gazeta, a Moscow-based newspaper known for its critical coverage of Russian affairs. "They could easily make a tragic mistake and shot down a passenger plane when indeed they wanted to shoot down a Ukrainian transport plane," he said. 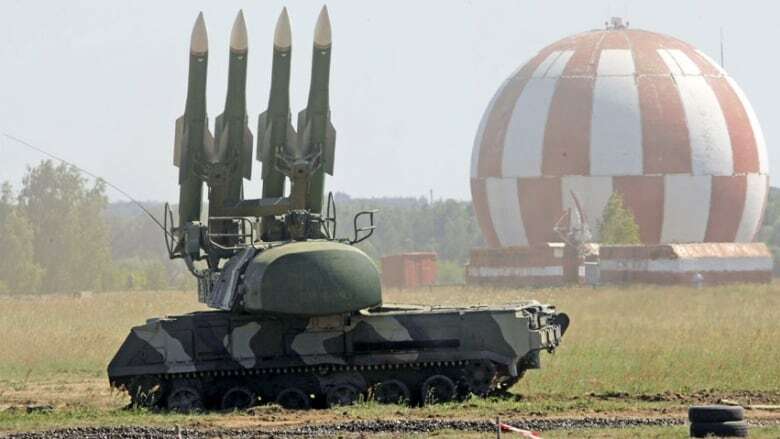 On Friday, Russia's state-owned RIA Novosti news agency also quoted Konstantin Sivkov, director of the Academy of Geopolitical Problems, as saying Buk missiles "should be provided with external systems of target identification, that is, radio-location systems. It's an entire system. And the insurgents certainly don't have radio-location." "Just seeing a blip on a radar screen was in no away sufficient to make a targeting decision," said Keir Giles, associate fellow for international security and Russia and Eurasia programs at the Royal Institute of International Affairs. "You need an additional radar system to which these weapons systems can be connected for additional information." Social media postings from the rebels in the immediate aftermath of Thursday's Malaysia Airlines disaster also suggested they had assumed civilian aircraft were avoiding the area and that anything in the air was hostile. If a missile was fired without attempting to identify the aircraft, the destruction of Malaysia Flight 17 would be an act of criminal negligence, said retired U.S. Air Force Maj. Gen. Robert Latiff. He said commercial airliners operate on known communications frequencies and emit signals that identify them and give their altitude and speed. "It doesn't sound like the separatists were using any of this [information], or tried for that matter," said Latiff, who oversaw advanced weapons research and development for the Air Force and now teaches at the University of Notre Dame. "My guess is the system's radar saw a return from a big 'cargo' plane flying at 30,000 feet or so and either automatically fired, or some aggressive, itchy operator fired, not wanting to miss an opportunity. It doesn't seem they chose to seek any additional data before pulling the trigger," Latiff said. A NATO military officer, speaking on condition of anonymity because he was not authorized to make public statements, said a Buk launcher, which is a self-propelled tracked vehicle resembling a tank, is ordinarily under the orders of a separate command post vehicle. "In a totally textbook way of setting up, the command post vehicle assigns targets and designates the firing units — launcher 1 or launcher 2," the NATO officer said. Once targeted by such a potent weapon, the Boeing wide-body twinjet would have had little chance. Edward Hunt, a senior consultant for IHS Jane's, which provides news and analysis on defence and geopolitical issues, said a commercial plane is not a difficult target for someone who knows how to operate a surface-to-air missile system. "Civilian aircraft fly in a straight line," Hunt said. "A civilian aircraft doesn't try to take evasive action. It probably didn't even know it was targeted." In her remarks to the UN Security Council, Power said that a journalist had reported seeing an SA-11 system early Thursday in separatist-controlled territory near Snizhne, "and separatists were spotted hours before the incident with an SA-11 SAM system close to the site where the plane came down." Power didn't identify the reporter. 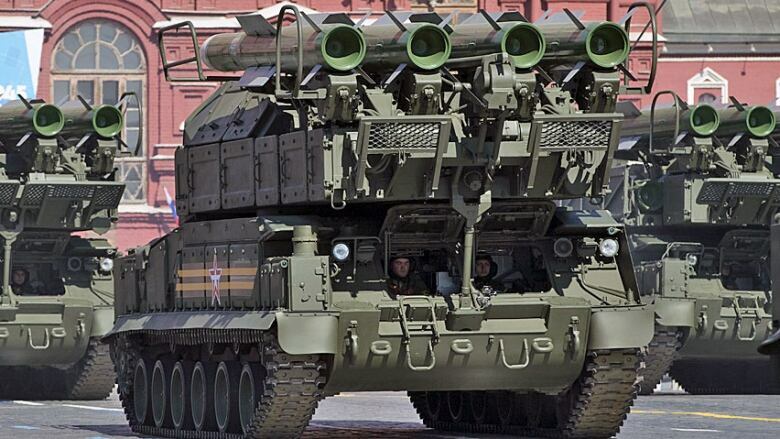 But on Thursday, AP journalists saw a rocket launcher near Snizhne. Rebels also bragged in June 29 report carried by Russia's Itar-Tass news agency that they had gotten hold of some Buk missile systems from Ukrainian stocks, though they did not say how many or describe their condition. A few weeks later, rebels shot down a Ukrainian Antonov 26, a military transport plane that can fly at altitudes of up to 7,500 metres. If Thursday's disaster was due to mistaken identity, it would not be the first. Soviet air defences in 1983 accidentally shot down Korean Airlines Flight 007, killing 269. In 1988, the USS Vincennes, a guided missile cruiser, brought down Iran Air Flight 655, with 290 people aboard, after mistaking it for an attacking warplane. In October 2001, Siberian Airlines Flight 1812, travelling from Tel Aviv, Israel, to Novosibirsk, Russia, plunged into the Black Sea, killing all 78 aboard. The Ukrainian military at first denied responsibility, but later admitted its military mistakenly shot down the plane during a training exercise..